Are you looking for auto & diesel repair for your Chevrolet local to Glendora? Our auto mechanics at All Time Gas & Diesel are trusted to handle the service, repair, and modification of both gasoline and diesel-powered Chevrolets. And we back auto & diesel repair with a 2-year/24,000-mile warranty. 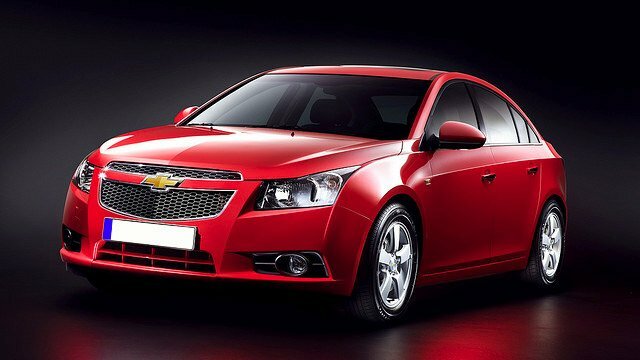 Because you want your Chevrolet to have a little extra “oomph”, we can install aftermarket products on your vehicle. Many of our clients use their Chevrolet to appease their adventurous side, as you can find them spending the weekend pulling a horse trailer to the show grounds or camping and crawling throughout California. It doesn’t matter what you plan to do with your Chevrolet. Our team will make sure your vehicle is ready to go. “They did a great job on my Chevy Duramax cooling system. they also diagnosed another shops mistake which I had All Time correct and even cleaned my permanent air filter at no charge, nice touch. I will choose All Time again for my service needs.” -- Scott B.
Let’s make sure your vehicle is ready for whatever you throw its way, and our auto mechanics at All Time Gas & Diesel are ready to make sure your Chevrolet is up for some rough riding. Schedule an appointment today, or stop by 610 S. Vecino Ave. Glendora, CA 91740.